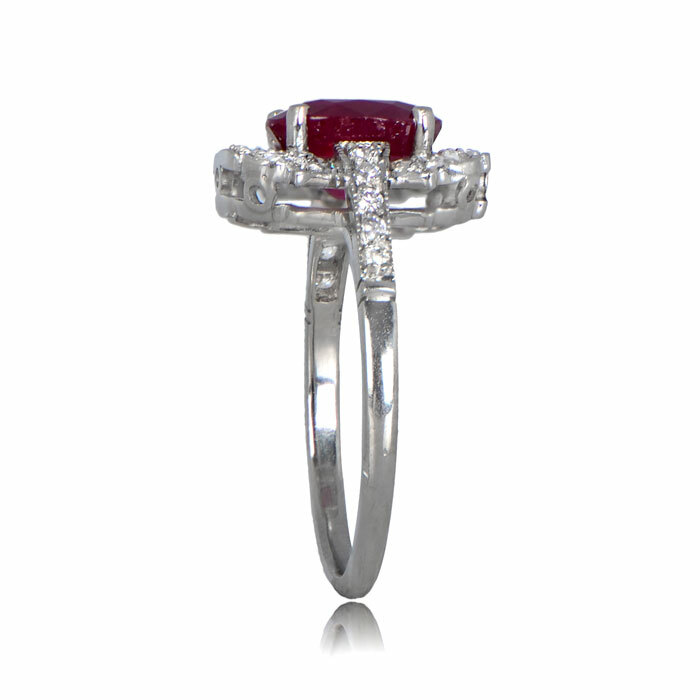 The Conway Ring features a stunning 2.21 carat ruby that is prong set in a platinum mounting and adorned with diamonds. The shoulders are accented with a row of diamonds. Openwork filigree is showcased along the gallery, and beneath the frame of diamonds. 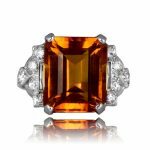 The ruby shows strong stunning saturation and vivid color, and is a very attractive stone. 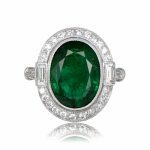 Please feel free to send us an email if you have any questions about this beautiful ring. 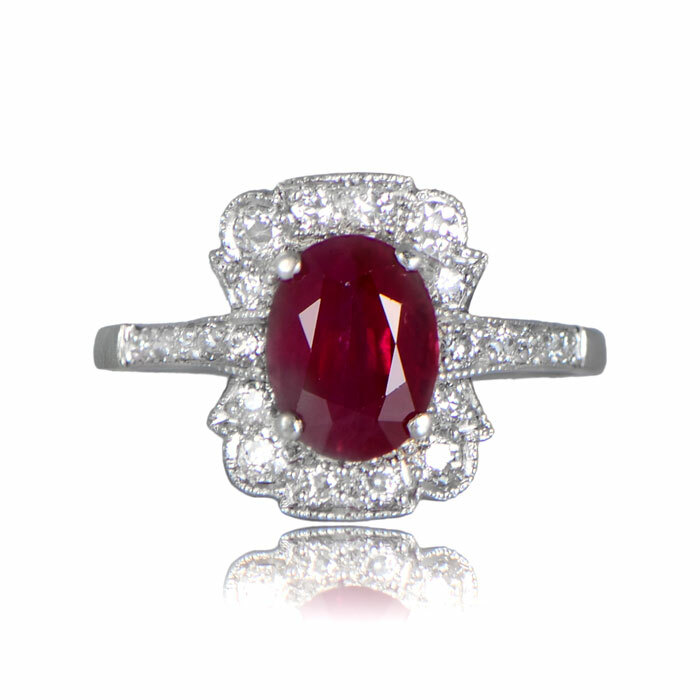 SKU: 11720 Categories: Ruby Engagement Rings, Vintage Cocktail Rings - Contact us and request additional pictures.